​Isn't it time for you to get closer to God? You can start with a Bible Study or Prayer Journal. Are you currently studying the Bible? Do you belong to a Bible Study Group? Do you want to be fully engaged with Bible verses, passages and prayer? 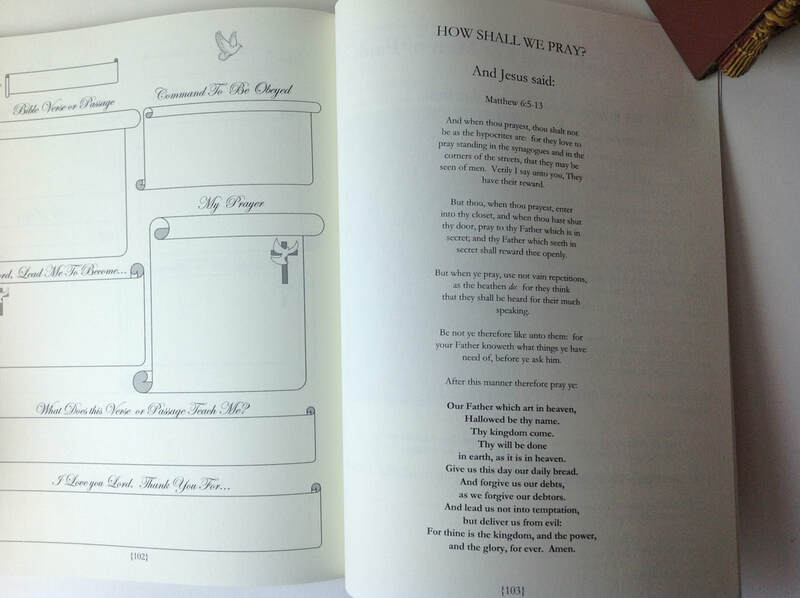 Do you want to memorialize your thoughts and make learning the Bible more fulfilling? 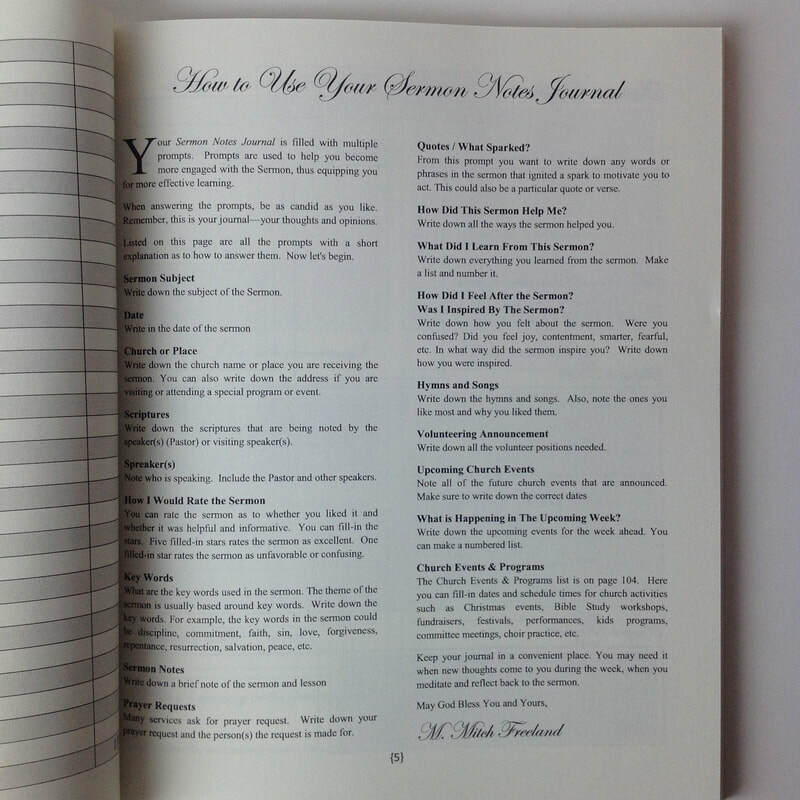 If you've answered YES to any of these questions, then it sounds like you are ready for the stunning, My Prayer Journal. Learning the Bible does not have to be difficult. My Prayer Journal makes it easier. Writing down your thoughts in a Prayer Journal is a rewarding experience, filled with endless benefits. What Does This Verse or Passage Teach Me? This Journal is the perfect size and style for recording your Prayers and Bible study whether in group study or quiet solitary study. Great for travel and to take with you wherever you go: to the park, beach, hotel, airplane, bus, car, classroom, library, study, kitchen table or bed. Christians who want a deeper, richer, more fulfilling understanding of the Bible and Christianity, and are willing to spend the time to embrace God wholeheartedly with reflective study and faithful worship. Made in the U.S.A. when shipped in the U.S.A. It's practical. It's economical. It's quality. It's beautifully inspired. It's for you! ​Start journaling your Bible study and prayers today. The Great Leaders of the Bible all made prayer a large part of their day. Because, when we pray, we speak to God. Are you trying to study the Bible? Do you want to learn the Bible easier, faster, and with better comprehension? Are you new to the Church and feel you need a helping hand to get more engaged? 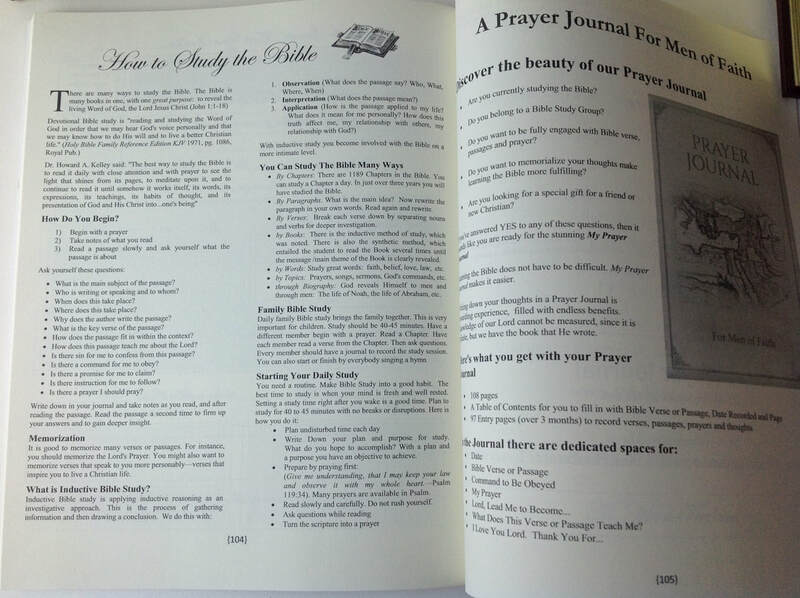 Do you want to memorialize your Bible study and make learning the Bible more fulfilling? Are you looking for a special gift for a friend or new Christian? Scripture Studied / Who are the person's revealed? What is the main subject of the scripture? What does the passage teach me about the Lord? How did the scripture help me in my life today? Is there instruction for me to follow? 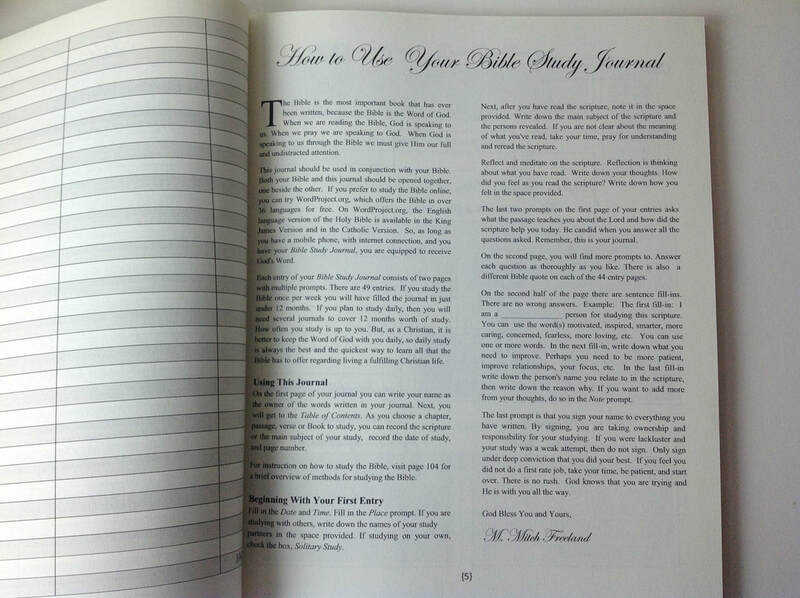 This Journal is the perfect size and style for journaling your Bible Study. It's Time to Embrace Your Church Sermons Again. Are you often bored or confused with the sermon? Do you want to embrace sermon messages? Do you want to memorialize your church sermons and make learning the Bible more fulfilling? Are you looking for a special gift for a friend, new Christian or a new member of the congregation? Keeping a Sermon Notes Journal is a great way to improve your knowledge of the Bible. And using it is simple and fun. My Sermon Notes Journal makes it easier for the whole family. What did I learn from this sermon? How did this sermon help me? 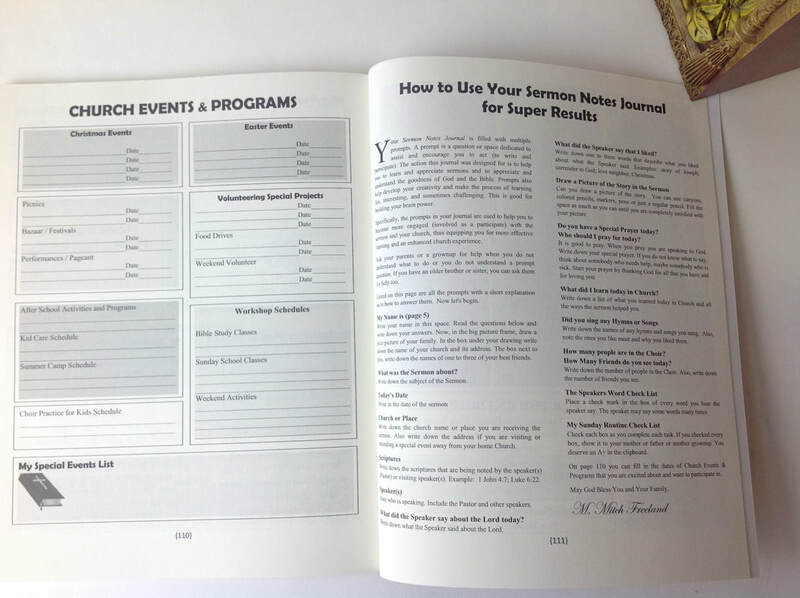 This Journal is the perfect size and style for journaling your Sermon notes. Christians who want a richer, more fulfilling understanding of the Bible and Christianity, and are willing to spend the time to embrace God wholeheartedly with reflective study and faithful worship. 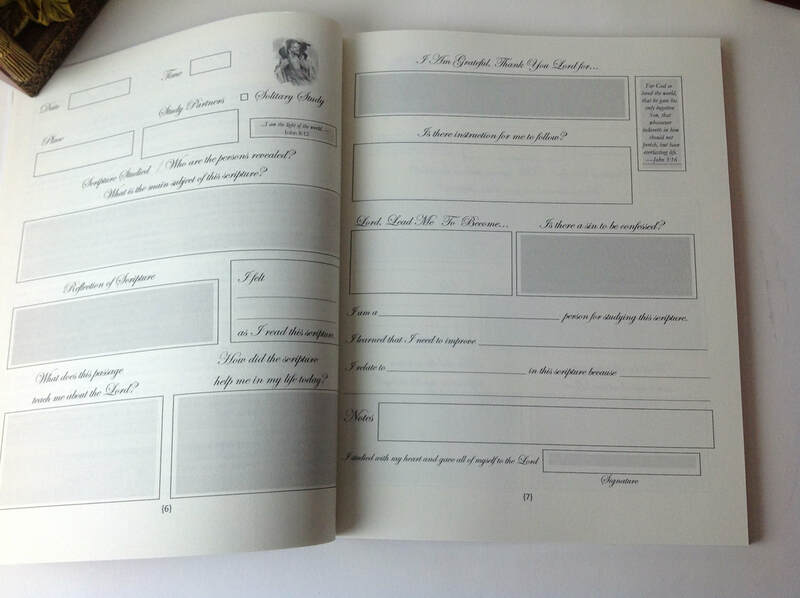 This journal is fun, engaging, easy to use and educational. You will gain a special appreciation for the word of God every time you open the journal for writing, reflection and meditation. Are you Ready? It's Time your child Embraces Church Sermons. Are your kids often bored or confused with the sermon? Do you want them to learn the Bible easier, faster, and with better comprehension? Are you and your family new to the Church and feel that your kids need a helping hand to get more engaged? 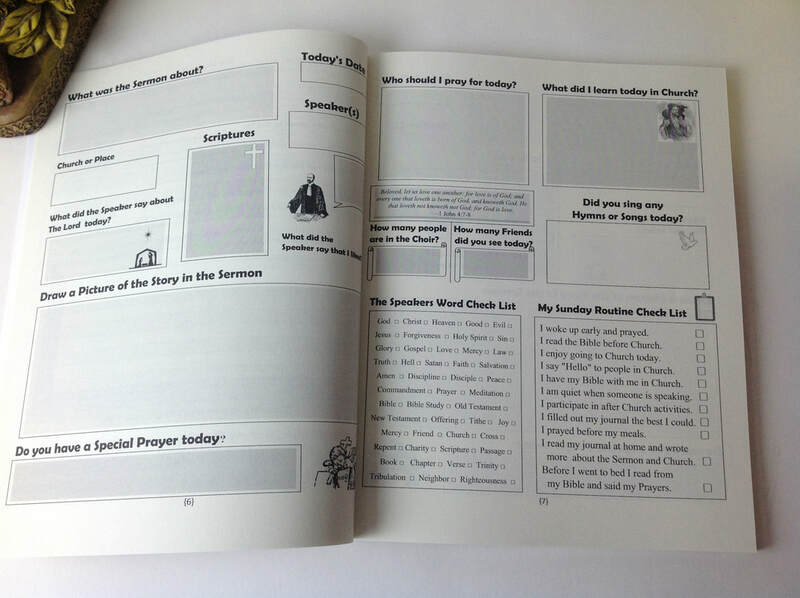 Do you want to memorialize your children's church sermons and make learning the Bible more fulfilling? Are you looking for a special gift for a child? I have my own. I read my Bible every day. What was the Sermon about? What did the Speaker say about the Lord today? Do you have a Special Prayer today? What did I learn today in Church? Who should I pray for today? Did you sing any Hymns or Songs today? How many friends do you see today? This Journal is the perfect size and style for children's journaling with abundant activity prompts. 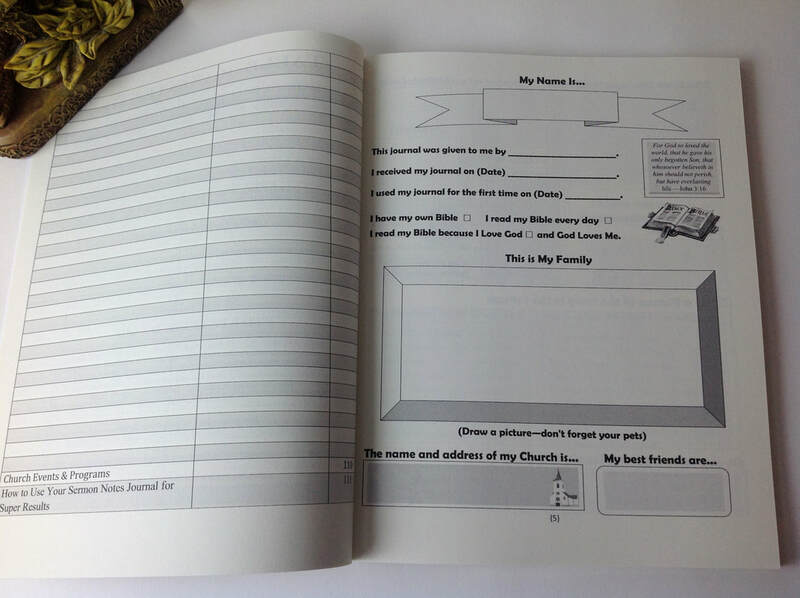 Your child will also get a scheduling list of all Church Events and Programs Sermon Notes Journal for Kids is perfect for: Your children's Sermon Notes Journal is beautifully inspired, and It's easy and convenient to useThis journal is fun, engaging, easy to use and educational. Encourage your children to gain a special appreciation for the word of God. ​ This Journal is the perfect size and style for recording your Prayers and Bible study, whether in group study or quiet, solitary study. Great for travel and to take with you wherever you go: to the park, beach, hotel, airplane, bus, car, classroom, library, study, kitchen table or bed. It's practical. It's economical. It's quality. It's beautifully inspired. It's for you!Start journaling your Bible study and prayers today. When you are ready, click the "Add to Cart" button. Thank you for taking the time to read this introduction. Your Bible Study Journal is beautifully inspired, and It's easy and convenient to useYes, this journal is fun, engaging, and educational. You will gain a special appreciation for the word of God.Are you Ready? Keeping a Sermon Notes Journal is a great way to improve your knowledge of the Bible. And using it is simple and fun. 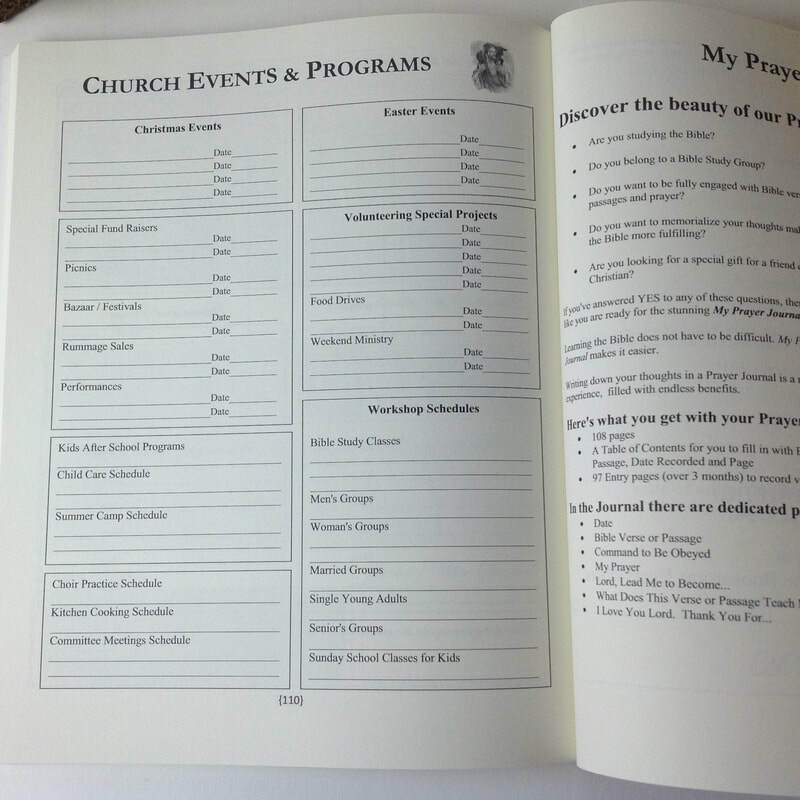 You will also get a scheduling list of all Church Events and Programs prompts. 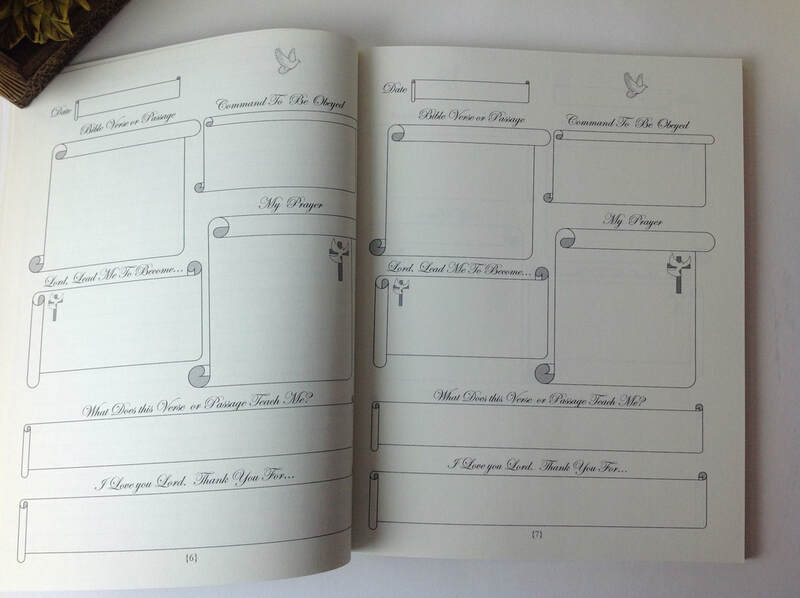 Your Sermon Notes Journal is beautifully inspired, and It's easy and convenient to use. You will gain a special appreciation for the word of God every time you open the journal for writing, reflection and meditation. Choose your quantity and click the "Add to Cart" button. Do you belong to a reading club or book club? 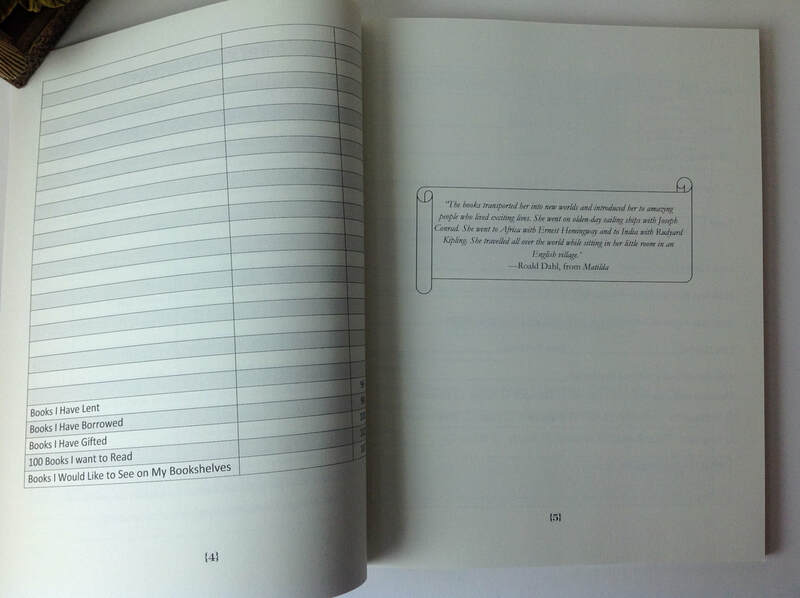 Do you want to memorialize the books you've read? Are you looking for a special gift for a friend who loves to read? Writing down your thoughts in a notebook of the books you have read is a fun and rewarding experience, filled with many benefits. Who introduced you to the book? 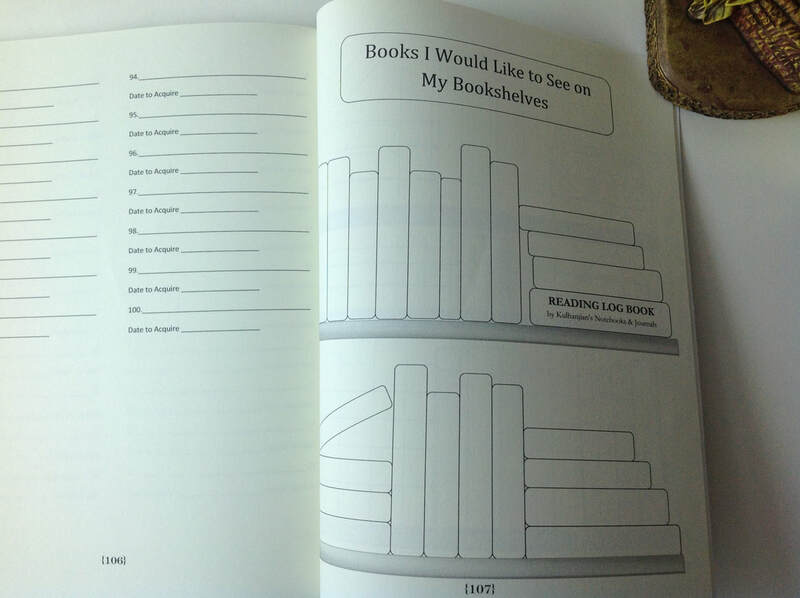 This book is the perfect size and style for logging your reads. Great for travel and to take with you wherever you go: to the park, beach, hotel, airplane, bus, car, classroom, library, study, kitchen table or bed. It's practical. It's economical. It's quality. It's for you!Start journaling your books today. P.S. This notebook is perfect for: Gifts for book lovers, reading journal, kids journal, book collectors, book collecting, book collections, old books, antique books, book clubs, reading clubs, librarians, book reports, kids who love to read, English teachers, creative writing teachers, writers, students who love books, bookstores. Are you Ready to try Dot Grid Bullet Notebook Pro? Join the sophisticated minimalist, and keep your writings, notes, lists and artwork neat, clean and simplified. It's Versatile: Perfect for daily bullet journaling. It's concise, attractive, and elegant. The BEST size for bags, purses, backpacks or coats. 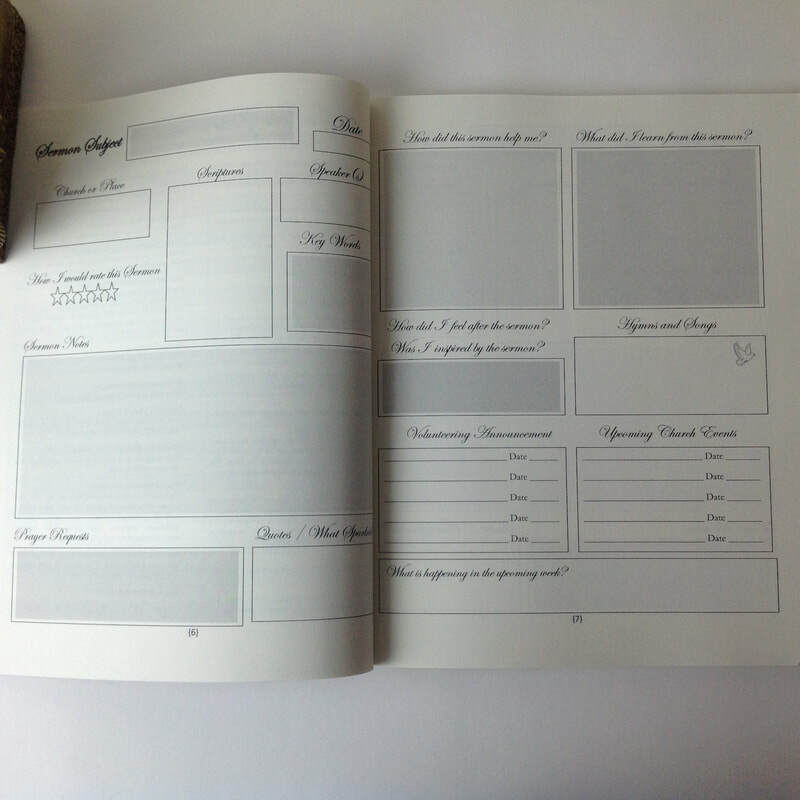 It's Perfect for Sketching and Note taking in the car, coffee house, office or home. Great for To-do-List, reading journal, class notes, idea book, and so much more. Are you a creative on the go? Do you want a notebook that is Durable? Do you want a notebook that is Flexibility? Do you want a notebook that is economical and gets the job done? If you've answered YES to any of these questions then you are ready for the DOT GRID BULLET NOTEBOOK PRO. It's Luxury and Quality set in a minimalist style. All at an affordable price for everybody. Our Dot Grid Bullet Notebook Pro is sold in 2 Packs for $13.99. Choose from 2 Grey, 2 Tan or 1 Grey and 1 Tan.